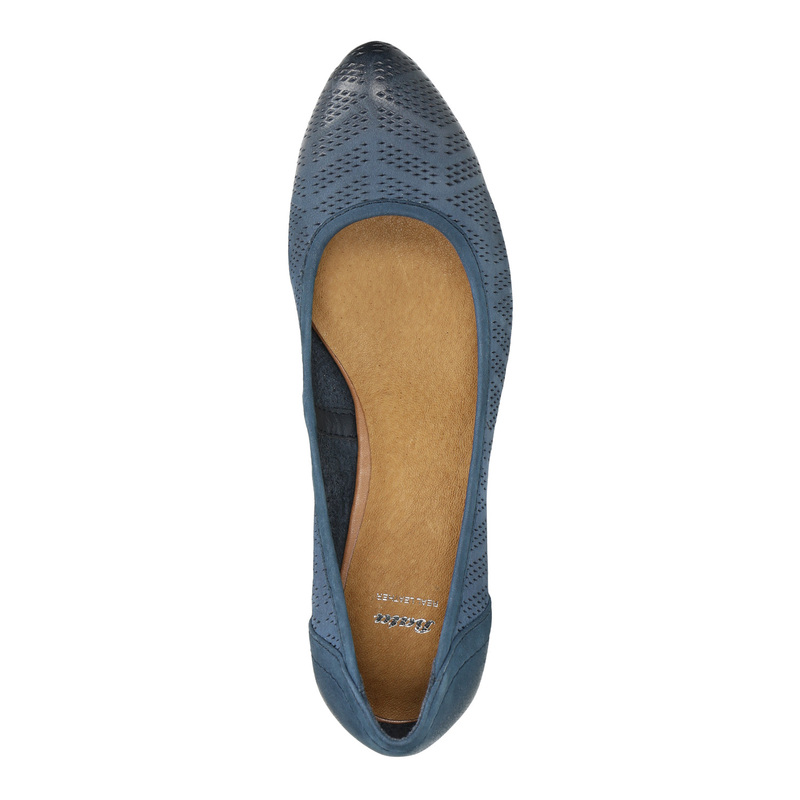 Ladies´ pumps in a pointed shape with a blue leather upper. 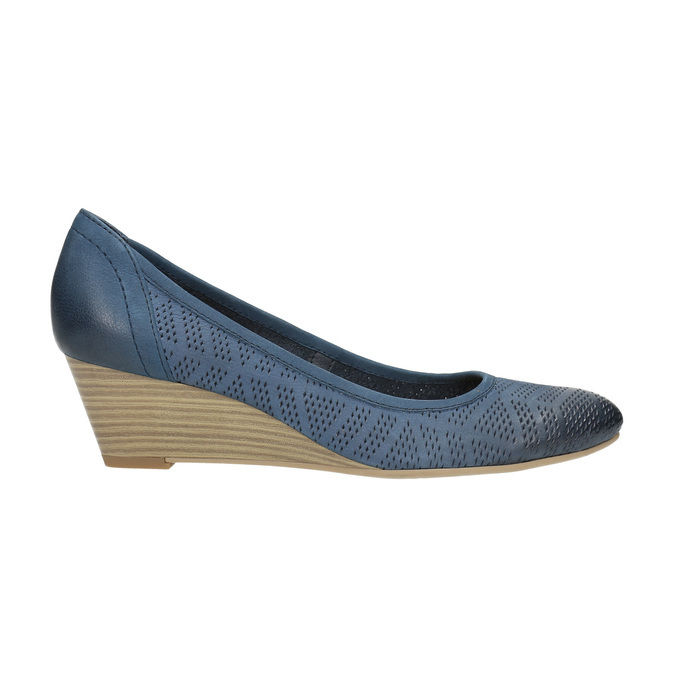 Interesting perforations will let your feet breathe. 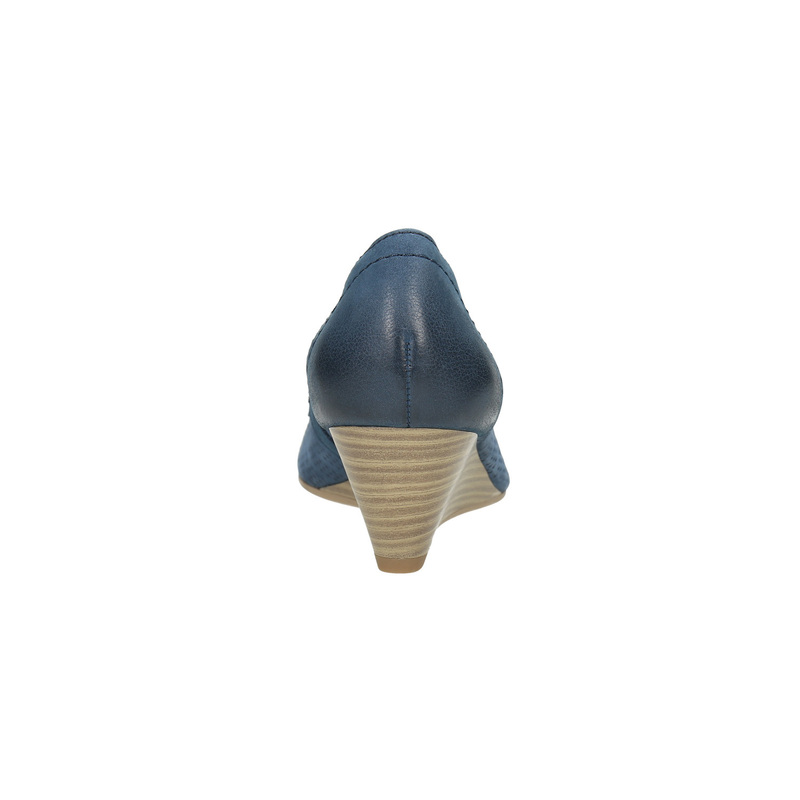 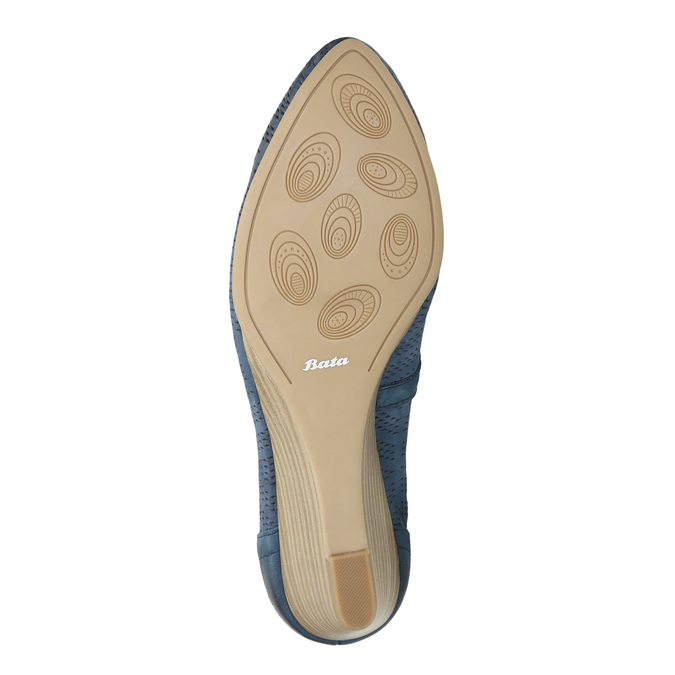 The medium high platform will extend your legs to the skies and the leather insole will provide the necessary comfort. 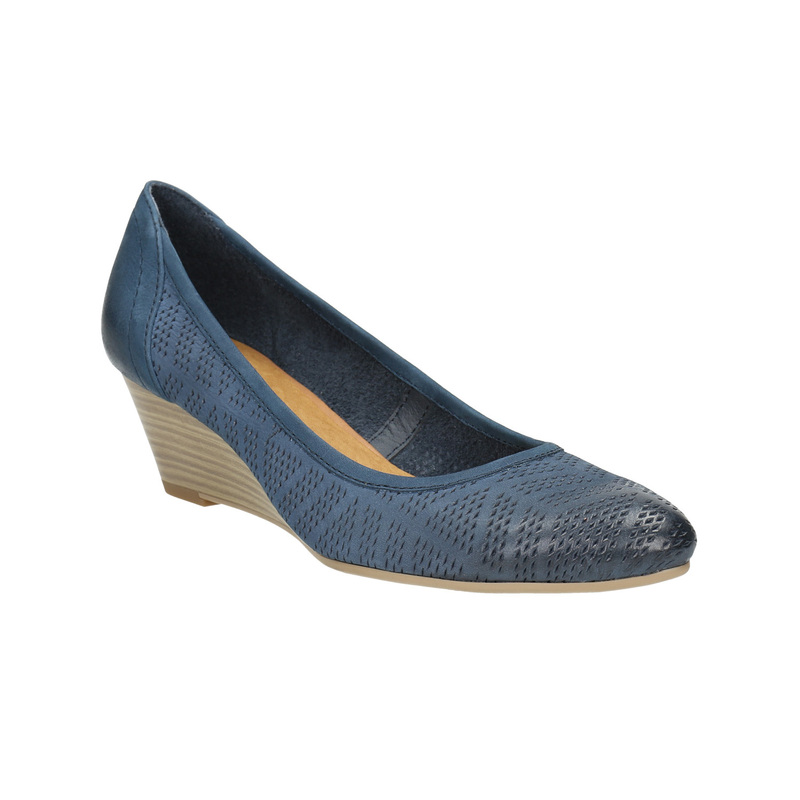 This model is an ideal choice for warm spring and summer days.